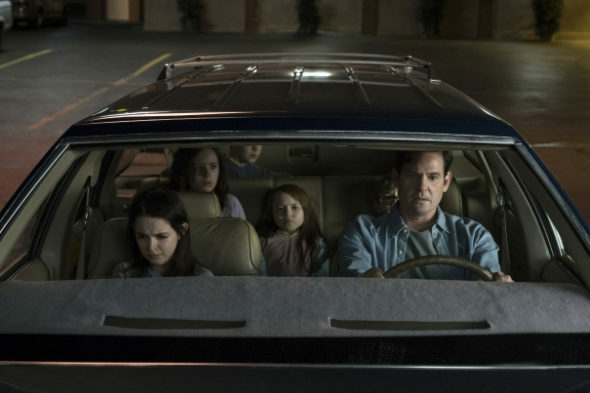 Are you watching The Haunting of Hill House? Recently, creator Mike Flanagan spoke with Entertainment Weekly about the future of the Netflix TV show. Inspired by the novel by Shirley Jackson, the horror drama follows “a group of siblings who, as children, grew up in what would go on to become the most famous haunted house in the country.” The Netflix series stars Michiel Huisman, Carla Gugino, Timothy Hutton, Elizabeth Reaser, Oliver Jackson-Cohen, and Henry Thomas. What do you think? Have you started watching The Haunting of Hill House yet? Would you watch a second season? Absolutely! There are no good, scary horror-type TV shows out there. American Horror Story is filthy and wicked, and everything else is a stupid zombie show! Bring on Season Two! I loved the series but hated the ending! Loved hill house. Maybe a different story for season two.